Family and friends have gathered to mourn the loss of Kathleen Mary Short, a loving mother, grandmother and great grandmother and stalwart of the Pakenham community. 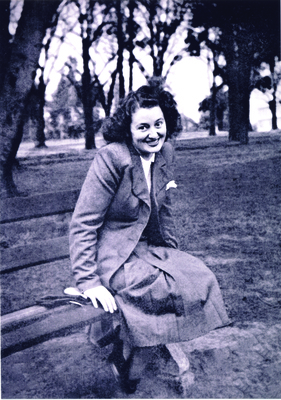 Born Kathleen Gibbs in Kew on 22 January, 1930, Ms Short spent her childhood days in the area with her sisters Olive and Patricia and parents Alexander and Una Gibbs. At the age of 14 she won a book keeping scholarship and left school to start work. She Married Francis ‘Jim’ Short in 1949 and moved to Pakenham a few years later, where she lived from 1955 through to her final days in September this year. 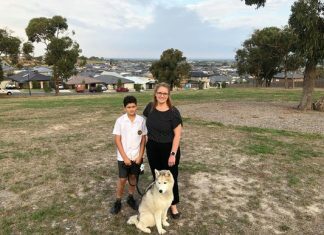 The mother of eight – six boys and two girls – had previously said she was attracted to Pakenham by the rural setting, with its close proximity to the Melbourne suburbs. Financial hardships relating to Jim’s building business caused him to leave the family, leaving the mother of eight to take on the role of matriarch and sole breadwinner for the large family. “She had to work fulltime and look after all us kids, it was very tough,” son and Pakenham local Brendan Short said. “She was such a hard worker, I don’t know how she did what she did,” daughter Cathy added. Ms Short held many jobs over the years, including as the manageress at the Pakenham Secondary College canteen, book keeper at Pakenham Concrete in the 1970s and Office Manager at the Gazette. She could not take to retirement the first time around so at 65, when most people contemplate leaving the workforce, she decided to join her friends at the Pakenham office to become one of the company’s proof readers. She watched the company grow from one paper to the 21 papers, and finally stepped into retirement in 2008. “She was very big on grammar and spelling. If you spelled something wrong she’d let you know about it,” daughter Cathy said with a laugh. The family originally lived on Browns Road and milked cows to make their own butter and cream, and then later moved to King Street in 1968. Ms Short made her own jams and sauces as well as clothes for her kids. “All the kids at school knew about Kath Short’s cakes,” Brendan said. “She baked so often that we’d have three different cakes to take to school in our lunch boxes each day. A devout Catholic, Ms Short was involved with the St. Patrick’s Pakenham parish since she moved to the area and she had her kids at St. Patrick’s Primary School for 27 consecutive years. She was heavily involved with St Vincent de Paul, where she was president, secretary and delivered food parcels for many years. “She loved helping out people who were in need, and she’d never judge anyone,” Brendan said. In her later years Ms Short developed a passion for cross-stitch and created incredible pieces for family and friends. 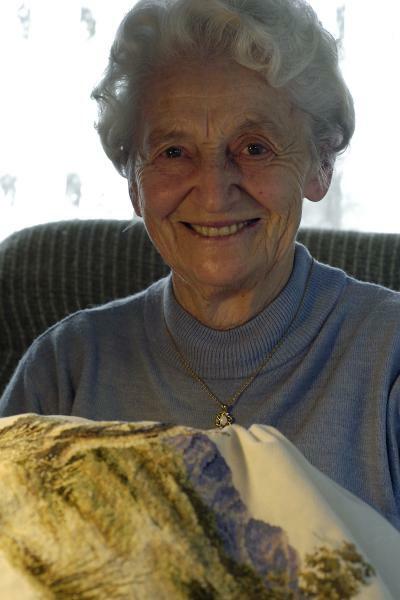 She would often spoil her 21 grandchildren and 20 great grandchildren with homemade cross-stitch works. From a young age Ms Short was an ardent Richmond supporter, attending games and training sessions at Punt Road while growing up in Kew. She even dated Brownlow medallist Roy Wright in her teenage years. The club’s theme song was played at her funeral. Ms Short spent her final years in the care of the staff at Shanagolden Retirement Village and passed away on 24 September 2018.